When it comes to Apple's highly anticipated sequel to the iPhone SE which presumably will be named the iPhone SE two reports on what this budget iPhone might look like and when it might be released are very conflicting. We actually talked about this iPhone SE to a few months back but there's been a lot more information in the last couple of weeks. So in terms of what we think the device might look like. 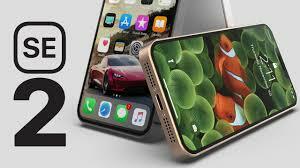 Some reports have suggested that the only real difference between this iteration of the S E and the last is an all new glass back which would allow for wireless charging like the iPhone 8 8 plus and the 10 that is actually a short video of what appears to be an unreleased iPhone S E with the glass back for wireless charging the rear shell on the current iPhone SE is largely aluminum with small glass panels along the top and bottom. This device could easily be a knock off of some sort. And so take this with a grain of salt but the possibility of the new iPhone SE being largely the same aside from some internal upgrades and a glass backing seems a bit disappointing. Some consumers myself included are holding out hope for an iPhone that might resemble the iPhone 10 in design with an edge to edge display. The latest word comes from Japanese blog Mac Ikara citing Chinese accessory makers who claim production has yet to begin. For the second generation iPhone. In fact Apple is apparently still considering a final design for the device. Among the several different prototypes it is said to have tested. The report claims that at least one of those prototypes has an iPhone 10 esque design including nearly full screen display with no home button and anoche. While other prototypes are believed to have a similar design to the current iPhone S E EXCEPT for the previously mentioned class back some reports are also suggesting that the notch on the SC will be about half the size of the one on the 10 which would be too small to fit the true depth camera system needed for face ID. And this is where the hopes of an edge to edge display on a budget iPhone go downhill. For me personally because I kind of find it very hard to believe that Apple would not include some sort of authentication and without base I.D. and presumably no room for Touch ID. I just can't see how Apple would sell this to its consumers. 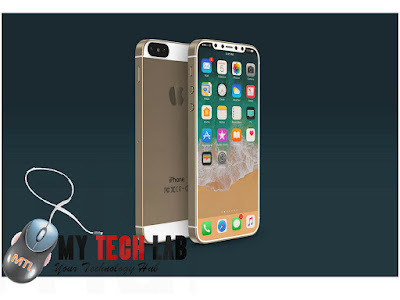 Even the release date of the potential new iPhone 2 is conflicting as early reports and regulatory filings suggest that the new iPhone could be revealed in May or early June. At Dover EVC. Others including accessory makers believe the new iPhone is more likely to launch the third quarter of 2018 suggesting the device could be unveiled alongside a new iPhone 10 and the iPhone 10 plus in September. If true However Apple has most likely already finalized the design of the device. If you're a fan of the iPhone SE and are holding out hope for a new version it looks like that should happen. However it might look like and what might be available are still up in the air. So let us know what you want to see in the new iPhone EC2. And if you prefer a similar design to the previous generation or maybe an iPhone 10 like design in the comments section down below this has been down with my tech lab. I love the design. am just waiting for the launch date so i can upgrade.